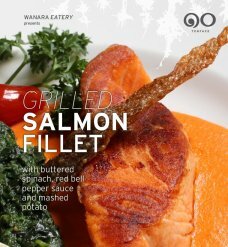 Wanara Eatery presents Three Fish On The Grill for the month of June. Wanara brings together amazing fusion cuisine, which is not limited to the creation of refreshing new ideas, but also signifies the re-invention of existing favorites. 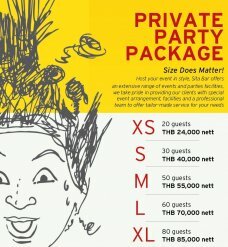 Our chef applies traditional Thai recipes with classic Western culinary skill to surprise you with tasty and novel dishes. Every dish blends superbly and is served with a touch of sophistication. 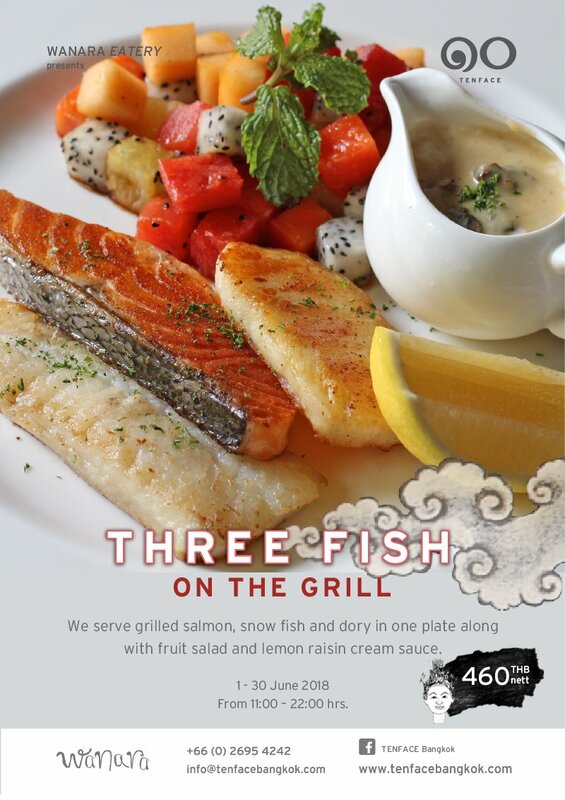 We serve grilled salmon, snow fish and dory in one plate along with fruit salad and lemon raisin cream sauce. Available from 11:00 – 22:00 hrs.